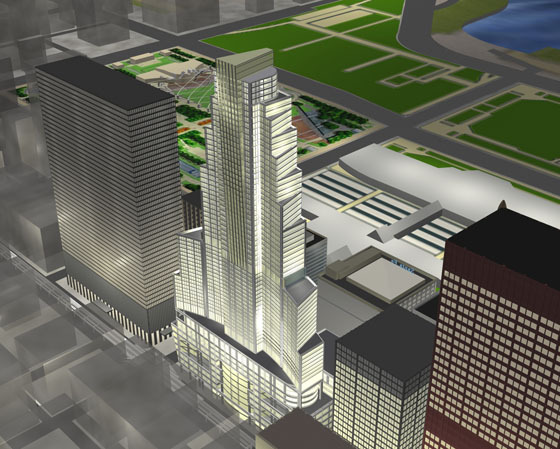 The Tower ‘X’ Proposal was a 70 story mixed use concept that was structured to allow for a dynamic stack of uses related to its location and adjacency to DePaul University and Symphony Hall. The base of the tower would house a Symphony dedicated Recital Hall and a mix of University Classrooms and Administrative Offices. A Multi-University Residence Hall (600 beds) and Fitness and Recreation Center would each sit below a Luxury Hotel and Residential facility.